Cross your arms over your chest as in the picture below. Keep feet hip width apart or closer. Head trunk and hips should form a straight line from head to knees. 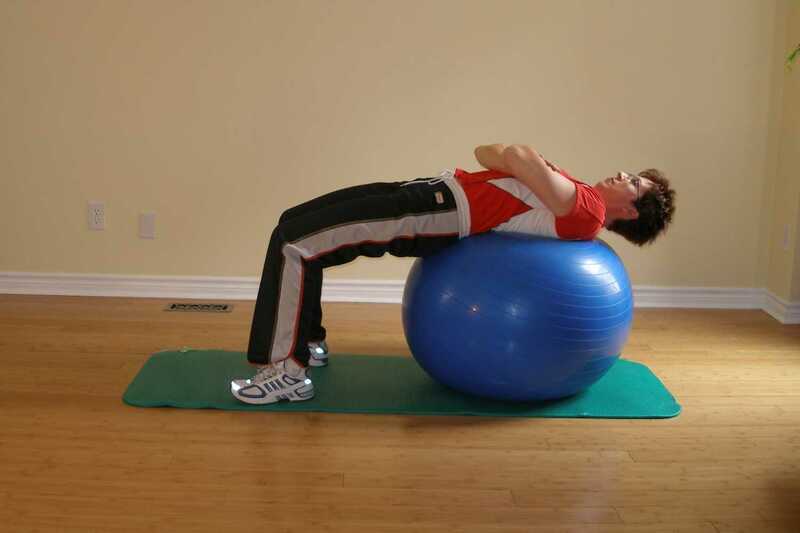 Slowly and in a controlled manner, use your abdominal muscles to pull your upper body off the ball. Visualize the distance between your rib cage and your pelvis as getting shorter. Pause for a second or two and return to the starting position. Your lower back should remain in contact with the ball at all times. The ball should not move during this exercise. Pull your chin toward your chest as though you were squeezing an orange between your chin and your chest. Press your tongue against the roof of your mouth to help activate the deep neck flexors and avoid neck strain. 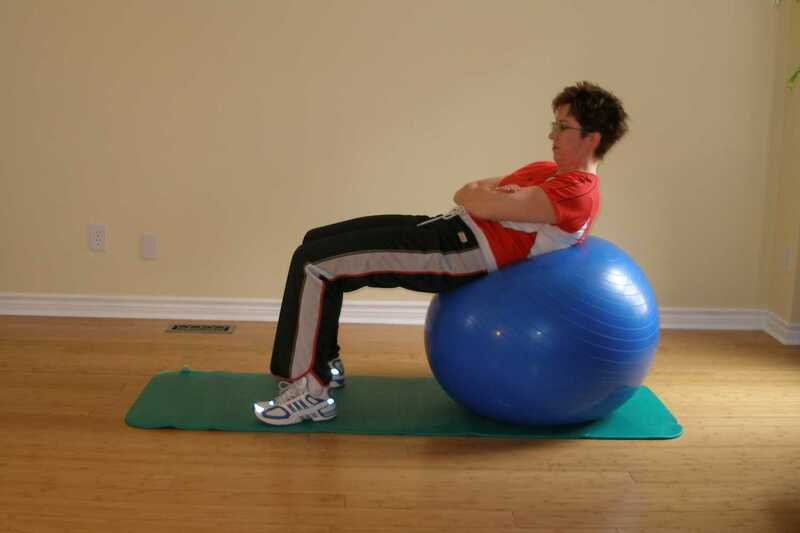 Have someone hold your feet down and begin this exercise ball exercise with the ball a little further toward your feet, centred under your pelvis. Put more air in your exercise ball to make it less stable. Hold a weight across your chest. Repeat this ball exercise 6 times. Repeat this ball exercise 10 times. Repeat this ball exercise 15 times.